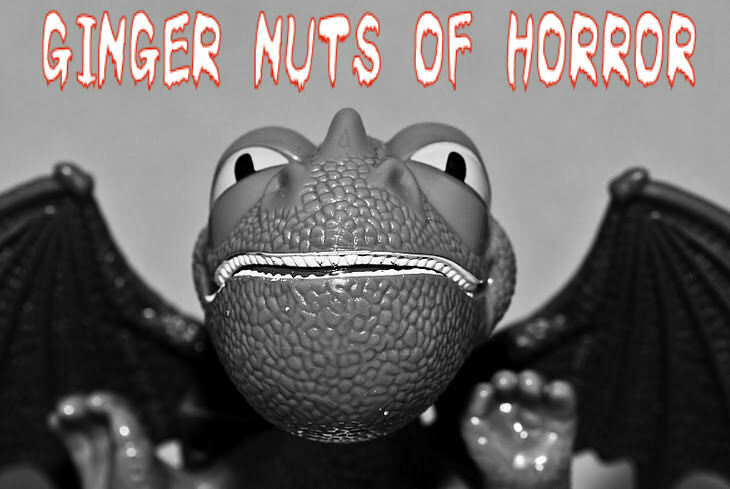 I found the blog Ginger Nuts of Horror as I started my pursuit of marketing and promotion for my novel, The Imaginings. I won’t go into the gory details of trying to find gems of wisdom in cacophony of voices on the internet, but will rather say that I was pleased to find Jim McLeod. Having said that (and to introduce this interview), I have a confession to make. I’m a big fan of Buffy the Vampire Slayer. Not the movie, mind you (although it was an interesting departure from the norm for quite a variety of actors), but rather the television series by Joss Whedon. Whedon is probably most recently known for his part as creator of the Dollhouse series on Fox, but he’s had a hand in quite a number of projects, even the screenplay for Toy Story (I know, it was a surprise for me, too). Without this being a review for Joss Whedon, I’ll just say that once you get into the series from the beginning, you’ll be hooked by some very clever writing and plot lines. So how does it all connect? Well, the first year I attended the Maui Writer’s Retreat, my instructor for the week was Nancy Holder, who co-wrote the first original Buffy tie-in novel with a guy by the name of Christopher Golden (and several more after). So I was pretty excited when I found this interview. But besides the Buffy connection, there are a couple of interesting observations about the art of writing (Jim has a way of pulling these tidbits from the artists he interviews). 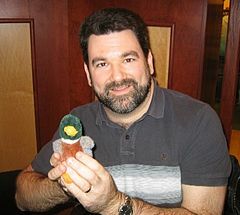 So, NOW, without further ado, Jim McLeod’s (GNOH) interview with Christopher Golden. GNOH – Hello Chris, I’d just to say what an honour it is to you over for a chat. CG: Thanks Jim. My pleasure. GNOH – How are things with you? CG: Can’t complain. 2010 left a lot to be desired, but this year’s shaping up a bit better…so far. GNOH – Can you tell us a little bit about yourself? CG: I was born and raised in Framingham, Massachusetts, which is half an hour or so from Boston. After college I worked for Billboard magazine in New York for several years before I sold my first novel, OF SAINTS AND SHADOWS, and quit that job to become a full time writer. That was 1992 and I was 25 years old. I’ve been writing full time ever since—novels, short stories, comics, video games, screenplays—and in that time I’ve edited half a dozen anthologies as well. When I’m not writing, my life revolves around my wife and our three kids. GNOH – You’ve written in many different genres, do you have a favourite? CG: These days I read mostly thrillers, mysteries, and dark fantasy, with a bit of horror thrown in, but socially, the horror people are my people. The writers and editors and artists—that’s my clan. As for writing…for me, it’s just stories, and genre really doesn’t come into it. I’m working on a dystopian teen thriller right now, among other things. GNOH – Do you do this as a conscious decision, or is it purely a case of just what pops into your head? GNOH – Do you approach the way you write them in a different way? CG: Not really. 99% of what I do as a writer is instinct. I write what feels right for the story and for the characters. The other 1% is trying to make sure I give the editor what I promised, whatever that may be at the time. GNOH – As well as novels you have also written comics, video games and non fiction work. How do you keep yourself motivated and focused? CG: It’s really a split between art and commerce, and both require passion and commitment. You want to love what you’re doing and you want to pay the bills. I’ve been incredibly fortunate in that I’ve more or less been able to do both for nineteen years running. GNOH – You have written a number of Buffy and Angel ties in, how did you become involved in this? CG: I’d been talking to Nancy Holder about collaborating with her on something. 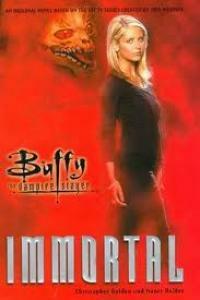 The morning after the first episode of Buffy aired, we were on the phone raving about it and decided to figure out if someone was going to do tie-in novels. Pocket already had the license, so we pitched them some ideas and ended up doing the very first original Buffy novel…and many thereafter. GNOH – How much freedom did you have with the subject material? Did you have to stick to a strict criteria, with how they could act? CG: With media tie-ins, you’re working with somebody else’s toys. That means that no matter what you do with them, you’ve got to be able to put them back in the toy chest afterward in essentially the same condition they were in when you took them out. But I feel strongly that we were able to do a lot within the parameters of that. For me, the best examples are probably my Spike & Dru novel and the Lost Slayer serial novel. 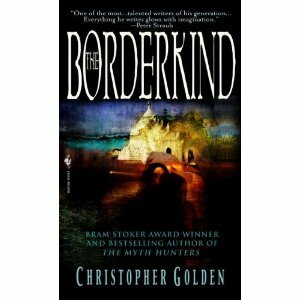 GNOH –One of my favourite of your books is the Borderkind triliogy, I loved discovering all the characters from myth and legend, some I knew of and others had me reaching for my encyclopaedia of myth and legend. What was the inspiration for this series? CG: It really all started with the opening. I had the idea for this story about a guy who has always wanted something magical to happen to him, whose life has been proscribed by his family’s wishes, who is about to be married to a woman he doesn’t really love because that’s what’s expected of him, and who is up late at night in the middle of a blizzard, caught between his hopes and his reality…and then Jack Frost shows up in the middle of a blizzard, wounded and on the run from hunters and seeking help. It all unfolded from there. GNOH – You have a habit of slipping well known songs into your novels, do you have a soundtrack in your mind when you write. When I read the Bordrkind trilogy, Joe Strummer’s Johnny Appleseed was stuck in my head. Even to this day I can’t hear the song without thinking of those books? CG: That’s excellent. I love music and I nearly always listen while I’m writing. I go through phases. Last year it was Flogging Molly and Coldplay. This year it’s Adele and Mumford and Sons. GNOH – Who was your favourite character from the series? CG: That’s impossible to say for sure. There are so many. I suppose Kitsune is really my favourite, but if you asked me tomorrow, I might answer differently. GNOH – Another one of my favourites is the Peter Octavian series of Vampire novels. Was it always your intention to spin the whole vampire mythology on it’s head? CG: Absolutely. That whole thing sprang from two bits of inspiration. First, I always thought it was absurd that traditional vampire lore held that vampires could transform themselves into wolves or rats or mist, but nothing else. That’s just stupid and nonsensical. If they can change themselves on a molecular level, how silly is it that they should be restricted to those forms? Second, the idea that the Pope of the Catholic church is infallible is equally laughable. More so now than ever. GNOH – The series must have required a lot of research and planning, did you have this all done prior to actually writing the novel? 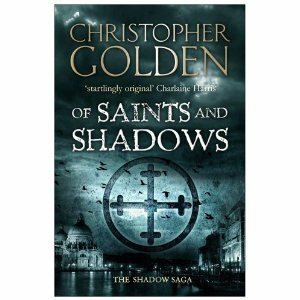 CG: I started OF SAINTS AND SHADOWS in fall 1988 or spring 1989, so it’s impossible for me to remember now how much research I did. I will say that it wasn’t much. I’d been to Venice the summer I turned 21, so most of the stuff about Venice in there I learned firsthand. I’ve been incredibly fortunate to have visited the majority of the places I’ve written about. Back in 1989, I would’ve been fairly lazy about research. I learned my lesson in the mid-90s and have been much more diligent about research ever since. I still get things wrong, but I do my best. GNOH – Have we seen the last of Peter Octavian? CG: Not at all. I’ve just made a new deal with Simon & Schuster UK for the 6th and 7th novels in the series. I’m afraid the earliest book six could see print is the end of 2012, as I haven’t started it yet, but they are definitely happening. GNOH – You have also done a number of collaborations with other authors. What’s the appeal of doing collaborations? CG: I always say writing is a solitary occupation and I’m not a solitary person. I like to work with my friends, to make them laugh or make them horrified or, even better, to make them work harder to best me in the next chapter. As a kid, one of my favourite bands was Lynyrd Skynyrd. I read an article in Rolling Stone in which one of the guitarists was talking about what it was like to have three lead guitarists in the band, and how it meant a constant challenge, where one would play a crazy guitar lick and the next would have to top it, and so on. Collaborating can be like that sometimes, which is fun. But mostly it’s about playing with your friends. 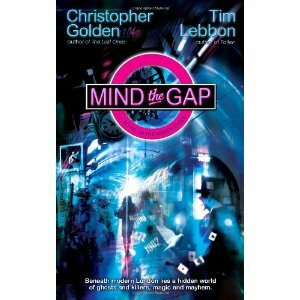 GNOH – You have been working a lot with Tim lebbon, namely the Hidden Cities and the Jack London series. How did you two first meet and decide to work together? CG: I’d been hearing good things about Tim and had read one of his novels, The Nature of Balance. I was editing a Hellboy short story anthology and asked him to do a story for me. Shortly after that we were at a horror con in New York City and met in person for the first time. We got on incredibly well right off. Some people you just meet and you’re instantly simpatico. Tim and I had that. It was as if we had always been friends. GNOH – Why do you think it’s such a fertile partnership? CG: I think it’s that instant bond we had. Creatively and professionally and personally, we share a lot of the same goals. We have different frames of reference and even different approaches to writing, but we get excited creatively about a lot of the same things. We’re also both very family –focused. I’m a husband and father first, and Tim is the same. Our families vacationed together on Cape Cod last year—a week in the same house. My wife and I had never done that with anyone who wasn’t family before. Honestly, it’s not US. We like our space and our privacy. But somehow we knew that all would be well with the Lebbons, and it was. We had the most fantastically relaxing, stress-free vacation. I hope we can all do it again sometime. GNOH – How well have the two series been received by the public? 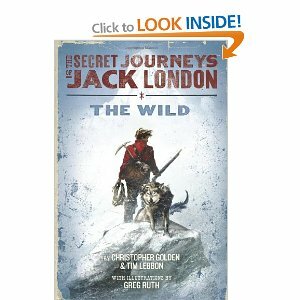 CG: It’s too early to tell with THE SECRET JOURNEYS OF JACK LONDON. Only the first book is out. Most of the reviews have been stellar and we sold film rights to Fox—the movie version’s in development right now. But until the first book is out in paperback and the second out in hardcover, I don’t think we’ll really know if we’ve reached the audience we wanted to reach. THE HIDDEN CITIES is a different story. Sales have been modest, but we’ve had a blast and people seem to like them. Frankly, the best thing Tim and I have done together—and one of the best things either of us has written, solo or in collaboration—is THE MAP OF MOMENTS. We’re very proud of that book. Right now we’re writing the third Jack London, WHITE FANGS, and having a wonderful time. This trilogy has come off so much better than we could’ve hoped. We’ve been fortunate on Jack London that we have an editor who totally gets what we’re trying to accomplish and embraces both the pop culture and literary elements of the work. GNOH – Can you spill any beans on some future projects the pair of you working on? CG: Aside from WHITE FANGS, I really can’t. One that’s got me very excited is a big fantasy thing we’re planning to put together, but it’s going to be a while before that’s ready to show our agent, never mind editors or publishers. GNOH – If you could invite five of the characters you have created around for a dinner party, who would you invite and why? CG: Interesting. Jenna Blake, from the Body of Evidence series. I adore her and she is smart and decent and capable and brave. Jack Murphy, from Staight on ‘til Morning, because he’s essentially me at 14. Grumbler, from Strangewood, because I have a strange affection for curmudgeons. Cody, from the Octavian series, because…he’s Buffalo Bill Cody, damn it. What more fascinating dinner guest could you possibly have. (He’s also, according to family lore, a distant relative of mine.) And Caitlin McCandless from The Collective (which I wrote as Jack Rogan), because she is a damned formidable woman. GNOH – And what would you serve? CG: I can’t cook at all, but I’d plead with my wife to make Louisiana Chicken and Dumplings. It’s my favourite meal. GNOH – What does the future hold for you? CG: Aside from the new Octavian books, which are a ways off, I’ve got a new novel coming out with Mike Mignola in early 2012 called JOE GOLEM AND THE DROWNING CITY, and Mike and I are currently writing a novella together, as well as continuing with the BALTIMORE comic book series we’re doing for Dark Horse. Also, Charlaine Harris and I are doing a trilogy of graphic novels called CEMETERY GIRL. More on that soon. GNOH – Thank you so much Christopher I am truly honoured that you popped in for a chat. CG: Any time! Thanks for having me. Feel free to comment on anything that struck you from this interview. Are you a Buffy fan? Have you read something by Christopher? And don’t forget to check back next Friday for my newest Flash Fiction piece. My first published novel was a collaboration with Chris: Gen13: Netherwar. It was a horror novel disguised as a superhero book, about superheroes we had both written comics about. Chris and Nancy (with whom I’ve also written several books) are both great friends and hugely responsible for my writing career. This was a terrific interview, and kind of a nice visit with my old pal. Jeff, thanks for stopping by. What a small world. Nancy was also a huge influence on me. As you saw, I studied under her at the Maui Writer’s Retreat. I’ve been trying to get in touch with her, but have been unsuccessful. Could you please pass along my best?